Is It Time To Take War on The Axis Of Evil? This week's issue marks the end of the 7th year of our publication on the Internet. What an incredible journey this has been for all of us at Zinda Magazine! By now you know that Zinda Magazine is about freedom of expression, information void of censorship and subjective editing. As a regular reader, you have found yourself loving an article one week and hating an entire issue by the following Tuesday. It is impossible to remain unaffected by our weekly offerings. What Zinda Magazine has accomplished since 1994 is nothing short of a social revolution and simply unimaginable a decade ago. Today what is unimaginable is Assyrian politics, culture, and society without Zinda Magazine. Zinda Magazine is also about twodozen reporters and researchers and regular contributors working diligently from their office desks and home-offices, from Australia to Austria, Tokyo to Turlock. They are the invisible army of outstanding students and professionals who believe in the integrity of this multi-ethnic, multi-lingual, and multi-religious historic phenomenon we call the Assyrian Nation. Each week they contribute countless hours of their time, away from their studies and family matters, to bring you the latest and most accurate information pertaining to your local Assyrian community. Zinda Magazine is very proud of every one of them and their families. Although Zinda Magazine reporters offer their valuable service free of charge, our publication cost has been growing tremendously. Consequently last November Zinda Magazine agreed to allow merchant advertisements to defray a portion of the publication costs. We hope that some of our readers will take advantage of this opportunity and utilize our magazine's enormous reach into the homes of thousands of Assyrians in 60 countries around the globe to market their goods and services. A small sign above the bulletin board in our main office in San Jose, California reads "Because Assyrians Deserve the Best!" This simple phrase is the basis of our honest, direct and responsible attitude in providing you with the most accurate news and information. Be sure that Zinda Magazine will continue its uncompromised and relentless pursuit of perfection in satisfying our readers. Sadly though, Zinda Magazine begins the publication of its 8th volume on the eve of possibly the most devastating attack on Bet-Nahrain. This morning, Turkey's Prime minister Bülent Ecevit made an urgent appeal to Iraqi President Saddam Hussein to allow United Nations weapons inspectors back into his country. Mr. Ecevit warned Baghdad that Iraq was facing a "grave danger" if it delays further weapons inspections. Not long after, the U.S. Defense Policy Board chairman, Richard Perle, called Iraq "the next front" and that "Washington would act - even against the will of the Europeans, if necessary." The next few months will be challenging times for all of us - particularly the Assyrian news, Internet, and radio/television teams at work around the world. While an attack on Iraq is still a subject of much speculation in Washington, reports from North Iraq and Turkey indicate that Ankara, Amman, and Damascus will not stand in the way of the American troops stationed in the Persian Gulf. Zinda Magazine is well aware of the significance of its reports from Bet-Nahrain, the opinions of its readers, and its editorial analysis. Our articles in 2002 will again provoke compelling questions, angry rhetoric, and perhaps changes in policy. Zinda Magazine will be watched by friends and foes alike. Hence, we will continue to work closely with the Assyrian political groups, political observers, churches, other media resources and analysts to bring you timely and objective information. Your trust in us remains the cornerstone of our responsible journalism. Finally, all of us at Zinda Magazine thank you for your support in the past seven years. Your criticisms, praises, "unsubscribe me" and "re-subscribe me" messages have shaped us into what we are today - the most influential force in shaping the opinions of the Assyrians. Excitedly we are looking forward to the next seven year! The Mandaeans (Subbiyun) have survived in the marshy area of the lower plains of Babylonia and have lived and continue to live basically in around Shat al-Arab and along the rivers that converge on it, Tigris and Euphrates, and the Karun, in the Iranian Khuzistan. The Mandaeans had settled for centuries in these distinct areas and generally lived in straw and mud huts. Today, there is in addition a significant Mandaean community in Baghdad. 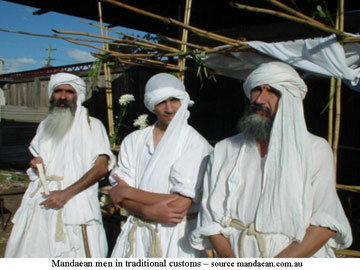 With continuous persecution, the population of the Mandaeans in Diaspora has increased significantly. They make proficient goldsmiths, blacksmiths, carpenters (boat builders), shepherds and farmers. The Mandaeans have always had a special interest in the study of astronomy and mathematics just like their forefathers, the ancient Babylonians. The dean of translators in this aspect was Thabit bin Qurrah (ca. 836-901), who had a patron in the successor of al-Mutawakkil. He is credited with having translated into Arabic-in collaboration with his son and other disciples-the bulk of the Greek mathematical and astronomical works including those of Archimedes (d. 212 BC). Other known Mandaeans are Ibrahim bin Sinan, who was a famous engineer during the Abbasid period and Albutani, who was a mathematician and astronomer. Two of their best-known figures in modern Iraqi history have been Dr. Aabdul Jabar Abdullah, a well-known physicist and Malik Saif, aka Comrade Kamal, a distinctive member of the Central Committee of the Iraqi Communist Party during the middle of the 20th century. The Mandaeans are sometimes referred to as Sabaeans, but one must not confuse them with the Sabaeans of the early Yemen history, in the southwestern edge of the Arabian Peninsula. Mandaeans during Islam acquired a dhimmi status just like the Christians and the Jews, and were classified by Moslems as a "protected" sect. Traditionally though when a Mandaean family converts to any other religion, although not abandoning its ethnic identity, it no longer is considered Mandaean. For the Mandaeans, Sunday is considered a holy day, which they call hababa (habshaba). The ceremony practiced on Sunday could last almost all morning. Mandaeans or "Saint John Christians", as they are called sometimes, believe in God and His Monotheism. God is called in their holy book and other religious sources, "The Great Life or The Eternal Life". Also, they believe that Adam was their first prophet and teacher. Their second prophet was Sheet who is named "Shetel" in Mandaiac; followed by Sam son of Noah. Aspects of the Mandaean Religion include: Monotheism; Baptism; Praying; Fasting and Giving (moral and material). The religious ideas of the Mandaeans show some remarkable similarities to the ancient doctrines, whether pagan or Christian. In the Ginza "Treasury", perhaps the best known of the Mandaic sacred books, we find at least seven different accounts of the origins of the cosmos, each with features most difficult to reconcile. The Mandaeans hold on the immense shoulders of Ur, an enormous serpent-like sea monster of the abyss. Most of the stories about the language and religion of the Mandaeans were collected by Catholic missionaries, who acknowledged that great uncertainties surrounded them. First, the name; it is not certain what Mandaean means but it is thought that it came from their own claim of being Mandaiia, which is related to madda, meaning "knowledge". The most sacred Mandaean ceremonies are performed by the priests, who are called tarmidia "disciple," inside a fenced-off area called a mandi with a building inside this area called manda or bimanda (from bet manda, "house of knowledge". Second, it is thought that the name came from Manda d-Hiia, meaning "Knowledge of Life". What is certain is the name their Arab neighbors gave them: Subba, "baptizers," "those who immerse [themselves in water]. Baptism and submersion in the flowing water of a river is the principle religious practice. For Mandaeans, flowing water is considered life-creating force of the world. A very interesting religious ritual is giving the new born four names; one used during religious rituals given by the priest, second is the family name, a third is a sort of clan name, and a personal Arab name used for everyday life that does not has any astrological value (not to cause particular problems). The astrological name, called the "name of the sign of the zodiac" is calculated in this manner: the (12) signs of the zodiac, from Aries to Pisces, are placed in a circle, and beginning from the sign corresponding to the month of the child's birth, the priest passes from sign to sign, for as many positions as there were hours in the day until the moment of birth, to arrive at the sign of the zodiac under whose influence lay the hour of the day in which the birth occurred. The numerical value of this sign is what counts, and the numerical value of the astrological name of the child's mother is subtracted from this. Once a certain number has been arrived at, a list of names corresponding to that number is compiled from the list in the "Book of the Zodiacs," and the parents choose a name from that list. There are other rituals that evolve around constant consultation of the stars and others in which the priests redact horoscopes and predict the future. Other rituals include the daily ablution of all parts of the body, and others, which I will not get into in this short article. Within the community of believers, who are known as the laupa, there are those who are not priests but know how to read and write classical Mandaean language and are called ialupia "cultured secular layman". They have access to the sacred texts and the knowledge those texts convey. Above the priests are the ganzibria (singular ganzibra) meaning "bishop", a name connected to ginza "treasury," which could mean also "the treasurer of knowledge." Heading the religious hierarchy was a ri (rish) ama "head of the people" but this position has not been filled since the 19th century, which few many describe as a sign for a declining of Mandaeanism. The classical Mandaean language is a type of Oriental Aramaic, with features similar to those of the language of the Babylonian Talmud and with external influence, especially Persian. Spoken Mandaean, called raTtna, uses a simplified language system and betrays considerable Arabic influence. The alphabet is made of (24) signs, of which (22) represent the normal letters, the 23rd is a double letter, and the last one is the repetition of the first "a". In this way a multiple of (6) is obtained (the number that symbolically indicates Mandaean things), as well as the correspondence to the number of hours in a day. Unlike other Semitic languages, the vowels do not appear as little dots or secondary graphical signs compared to consonants but are always written in their full form, being thought of as letters like the rest. The oldest Mandaean liturgical text is a set of collection of Hymns of Praise called Qulasta. Other parts of the text are Sidra d-Nimata "The Book of Souls", containing liturgies for the maSsbuta (plural maSsbutiata) "solemn baptism"; prayers for the masiqta "elevation, a ceremony to help the soul"; Asut Malkia "The Greeting to the King"; Rahmia (everyday prayers); Abahatan Qadmaiia "Our First Fathers"; prayers for weddings; drapa "ceremonial standard with a support in the form of a cross"; zidqa brika "blessed offerings"; klila "crown of myrtle", and so forth. Other texts include Sidra Rba "Great Book" or Ginza "Treasurer" iamina (of the right) and smala (of the left). In addition, in Mandaic a large number of magic texts have been redacted. Catholic missionaries have other encounters with the Mandaeans towards the middle of the 16th century. But the Mandaeans remained, or were kept, unknown, and Pennini's information and few others remained unpublished until 1940s. What was the reason behind this neglect by the Vatican? Pope Eugene IV (March 3, 1431-February 23, 1447) signed agreements, on the basis of orthodoxy, with certain hitherto dissident Nestorian groups in Mesopotamia in 1444 and in Cyprus in 1445. The Nestorians of Cyprus consequently converted to Catholicism as a whole and their bishop asked that they be called Chaldeans from that time on. In 1552, a Nestorian monk, Sulaqa, traveled to Rome, accepted Catholicism and was proclaimed patriarch over the Assyrians in 1553. But the title was eventually replaced with the title patriarch over the Chaldeans to be in parallel with the title Chaldean given to the Nestorian converts in Cyprus. The Catholic missionaries have been contacting the Christians of northern Mesopotamia yet earlier but this is not the topic of the article. And at the same time the contacts of the Catholics continued with the Mandaeans. Some Portuguese Jesuits had met some "Saint John Christians" or Mandaeans around the Strait of Hormuz in 1559, when the Portuguese fleet met the Ottoman Turkish army in Bahrain and forced the latter to retreat but lost later in 1581. Communications between the Catholic missionaries and these Mandaean Christians continued, as the latter seemed to be willing to obey the holy Roman Church. They already knew and used the seven Catholic sacraments and the related ceremonies in their lives. In 1604, Gerolamo Vecchietti, a Tuscan and one of the finest of narrators, who was entrusted by the Pope and other European sovereign to look for manuscripts in Oriental languages, was traveling along the Baghdad-Basrah route. He stopped by a small village where he found a group of Mandaean Christians. One of these had fled from Kuzistan, spoke Portuguese and he provided information to Vecchietti about his people, in all he said that they were around 60,000 of them. About the Mandaeans' language, Vecchietti concluded that the Mandaeans called it Chaldean language, although he identified it as Syriac. After arriving in Basrah, Vecchietti met many Mandaeans. Having gathered what he could from the Mandaeans in term of news and information, Vecchietti deduced that the Mandaeans were "a generation of the ancient Chaldean Christians," reduced to ignorance by Islamic persecution, stated Professor Lupieri. We know that many of the Christians of southern Mesopotamia were forced into Islam after the latter's conquest of southern Mesopotamia during the second quarter of the 7th century. This was due to many reasons, most importantly perhaps was to escape the heavy taxes levied on non-Moslems. Although we see prominent Christians in the fields of medicine, science and in the courts of the Abbasid Caliphates, the Christians in general were decreasing rapidly in numbers in southern Mesopotamia, unlike northern Mesopotamia, and just before the fall of the Abbasid Dynasty and Baghdad in 1258 at the hands of the Mongols, the Christians in southern Mesopotamia were a small minority. Everything in the Mandaeans' history indicates a strong descendent link to the ancient Babylonian society of southern Mesopotamia, which included the ancient Chaldeans in its fabric. One must wonder who is more authentic to claim a descent from the ancient Babylonians and the Chaldeans? The Mandaeans who continue to live in southern Mesopotamia and have many religious, language, ritual, and other aspects of those original forefathers or some Christians living in Assyria, over 300 miles to the north, whom the Vatican wrongly called Chaldeans? The Vatican had made its decision to call every Church of the East member "wrongly labeled Nestorian" convert to Catholicism as a Chaldean for consistency with what had happened in Cyprus in 1445. But it had to figure out a way to deal with these new peoples the Roman Catholics have encountered, i.e. the Mandaeans. Therefore, the Vatican decided to keep the Mandaeans, the heirs of ancient Babylonians, somehow in the shadows. The Vatican figured, what better name to propagate than that of some people mentioned in the Bible, the ancient Babylonians and ancient Chaldeans, who have shown signs of survival in southern Mesopotamia through the Mandaeans and their ways! What did the Vatican cause by doing so? From one side, the Vatican denied the small community of the Mandaeans their legitimate descent from the ancient Chaldeans. This was true since the term Chaldean was wrongly generalized to include every Nestorian convert to Catholicism from Cyprus to India, even though these people have no connection with the ancient Chaldeans. And from the other side, the Vatican put the foundation to destroy its real rival church by creating a new ethnic group out from the Church of the East, i.e. the Chaldeans. Hence, the two most unfortunate victims of this unforgiving move by the Vatican, in my opinion, were: the Mandaeans and the Assyrians. Hanna Batatu, "The Old Social Classes and the Revolutionary Movement of Iraq." Philip Hitti, "The Near East in History: A 5000 Year Story." Philip Hitti, "History of the Arabs. J. N. D. Kelly, "The Oxford Dictionary of Popes." Edmondo Lupieri, "The Mandaeans: The Last Gnostics." Our Turkoman people have been living in their country Iraq a long time before the birth of Christ. They have defended their homeland along with their Arab, Kurds and Assyrians brothers. However, they have not and will not forget that they belong to the greater Turkic nation, which extends from the Adriatic Sea to the Chinese [great] wall. Ever since the Ottoman state withdrew from Iraq in 1918 our people have been subjected to oppressive, suppressive, ethnic assimilation, arrest and annihilation policies by successive Iraqi governments. Furthermore, our national, cultural, social and human rights are being flouted because of the chauvinist policies of the present Iraqi regime, which they have been carrying out since 1986, and these policies remain in place to this day. Following the popular uprising in Iraq, at the end of the second Gulf War , a safe heaven was created in northern Iraq on the basis of Security Council Resolution 688 issued on 5 April 1991. Since then the Turkoman militants, political parties and prominent figures began [organizing] cultural and social activities in the safe heaven area openly, and till now the Turkoman political movement continue to develop day after day, from Talla'far to Mandali, under the leadership of the Turkoman Front. Although the main headquarters of the Turkoman Front is based in Arbil, it still struggles for the salvation of Turkomans who live in Kirkuk, Mosul, Talla'far, Khanaqin, Mandali and all other Turkoman areas, from oppression and tyranny they are being subjected to. However, there are a number of sides that hate Turkomans and try to damage the struggle and the legitimate goals of our people, by publishing fabrications in newspapers with a view to restricting the role of Turkomans in the future of Iraq, and to exclude them as partners in the motherland and to neglect their rights. 1. The head of the Iraqi Turkoman Front, who was elected in November 2000 during the second Turkoman conference before the eyes of the world, will proudly remain in his post. 2.The Turkoman parties and movements, which operate under the banner of the Iraqi Turkoman Front, out of their deep belief in democracy, have been convening and still convene their conferences since January 2002. 4. A number of political newspapers, which are publishing articles on Turkomans and the Turkoman Front, aim at sowing the seeds of division between the Turkomans and their brothers from other ethnic groups. Let those people who publish such articles be aware that they will harm other nationalities more than Turkomans themselves. 5. The Turkomans have proved throughout their history that they are people who cherish peace and civilization and know how to attain their rights at the right time. 6. We, in the Turkoman Front, since the founding of the Turkoman Front, have defended and will defend Iraqi territorial integrity, and we will pursue the means that will ensure the attainment of the national rights of our people in line with changes in the equilibrium in the region. 7. We, the Turkomans of Iraq, would like to state that we will not be alone if serious changes occur in the region and in Iraq. We in the Iraqi Turkoman Front, are completely confident that we will get the support of the countries of the free world and in particular from our Turkish brothers. Salah Mardan, member of the front's executive council. The policy of Arabizing the Kurdistan regions by the successive regimes in Iraq, stage by stage, is extending. It prevails over a vast area in Kurdistan, from Sinjar, Zummar, Shekhan, Makhmur, Kirkuk, Jalawla, Khanaqin, Mandali, stretching to Badra and Jassan. That threatening campaign is carried out gradually within the framework of an overwhelmingly multilateral, vast strategy. It aims at ethnic cleansing and changing the national identity of the people of Kurdistan, including the Kurds, Turkomans, Assyrians and the Chaldeans, and settling Arab tribes in their places through a planned programme by constructing group settlements and camp settlements, and confiscating the national assets and revenues of the population of Kurdistan financially, culturally and spiritually. It also aims at devastating the multilateral infrastructure of the Kurdistani community and annihilating all traces of their existence. This Arabization has even reached the level of forcing them to change their national affiliation. Moreover newly-born babies are banned from being given non-Arab names. To confront this threatening policy, to defend the rights of the people of Kurdistan and to abort these sterile efforts that pose a serious threat to the future of the national security of the people of Kurdistan. "The Higher Committee for Confronting the Arabization of Kurdistan" was founded after many meetings and discussions held by the parties and figures that are concerned. For this purpose, it has drawn an agenda and a platform to unveil and uncover the facts and abort this ethnic-cleansing policy of the Iraqi regime and make multilateral efforts to confront it. For this reason our committee, the Higher Committee for Confronting the Arabization of Kurdistan calls on the masses of Kurdistan people inside, and particularly the inhabitants of the Arabized regions, to cooperate with the actions and activities of this committee by collecting documents, preparing investigations and bracing themselves for any mass activity to abort this crooked and unjust policy perpetrated against the people of Kurdistan so that they can return to their own homeland and expel those who have been unlawfully settled in the Kurdistan homeland instead of its legitimate inhabitants. We also call on the United Nations Organization, the international community and the human rights organizations to put pressure on the Iraqi regime to put an end to this threatening policy, put Resolution 688 into practice and make efforts so that the displaced people would return to their own original homes. We call on all the political parties and factions, patriots, and the public and vocational organizations to collaborate with us more and to be unanimous in their stances with us. We call on all the media channels to attach importance to follow-up and reveal the gravity of the threat this plan of the Iraqi regime poses. They have to write and speak about it and denounce it for all the masses of Kurdistan and the peace-loving people in the World. (ZNDA: New York) The U.S. State Department reached an agreement last week to give $2.4 million over three months to the Iraqi National Congress, the main opposition group to President Saddam Hussein of Iraq. U.S. hopes that the INC will use this latest funding help weaken Saddam's rule. INC is a London-based group led by Iraqi-born Ahmed Chalabi. The aid program for the anti-Saddam group was suspended in early January in a dispute over a system to account for its spending. The opposition group faced the possibility of losing American financial support at the end of the month unless it developed an acceptable accounting system. INC Leaders met last Wednesday with Undersecretary of State Marc Grossman. Afterward, Iraqi National Congress spokesman Sharif Ali told reporters: ``We developed some very good ideas.'' Additional meetings were planned with Assistant Secretary of State William Burns. Asked by reporters whether the session indicated an acceleration of military planning against Saddam, Defense Secretary Donald H. Rumsfeld said he was not involved in the meeting, and it carried no special meaning. Intro: Is it time to take the war on terror to Iran, Iraq, and North Korea, the countries President Bush labeled "the axis of evil" in his State of the Union address? George Bush talking: States like these and their terrorist allies constitute an axis of evil, arming to threaten the peace of the world. Co-Host of Crossfire, Bill Press: Is it time to take the war on terror to Iran, Iraq, and North Korea? Bill Press: Thanks for being here. These are fighting words, a phrase not heard since World War II. President Bush drops a bombshell in Tuesday's State of the Union speech. He denounced three states, Iran, Iraq and North Korea as the axis of evil and warned they could be the next targets in the war on terrorism. Later, the White House insisted the president was not talking about immediate military action, so what was he talking about? Why North Korea and not Somalia or Yemen? And why add Iran to the list when Iran helped us overthrow the Taliban? Lots of questions. Time to get some answers -- Tucker. Tucker Carlson: Ambassador Peck, let me answer Bill Press's question posed in the intro here. He asked why did the president call these three countries evil and a threat to the United States? And I would, I guess answer by saying all three are evil and all three of them are a threat to the United States. What's wrong saying so? Edward Peck (former Ambassador to Iraq): Well, I guess the question you have to ask is yourself is are they evil and are they all threats to the United States? If you think they are, and clearly the president does or his advisers do, but threats in which sense? We've never talked to Iraq or Iran. And we have no idea what we could possibly gain from such a discussion. Now you don't lose a thing when you try, because our country, my nation, you nation, is pushing Palestinians to talk to Israelis, Catholics to talk to Protestants, Iran to talk to -- I mean, Pakistan to talk to India. Don't fight guys, talk. Why are you going to do this? Carlson: Well, wait a second. I may be mishearing you. Carlson: You seem to be implying that these countries Iran, Iraq and North Korea aren't evil and aren't a threat. If I could just -- I mean, the list is long. We could spend the entire evening going through the catalog of examples. I'll just name a few. We know that Iran and Iraq each have large chemical and biological weapons. Peck: Well, OK, you can take that if you wish. Carlson: Right, Ambassador Peck, since we can't even agree that North Korea is evil, let me start a simpler question then. Do you think that Iraq and the region around Iraq would be better off if Saddam Hussein was not running Iraq? Carlson: So you were trained, but you never got the answer? Tell me what you think. I mean, hypothesize here. Peck: What is it -- let's hypothesize for a second. Let's suppose you get Saddam Hussein. Let's suppose you get him. What happens then? Who knows? (Unintelligible) until how you see Ramadan. To use a sports analogy, it's second and 10. So you get rid of Taha Ibrahim (ph). Now it's third and 10. So take off the top 296 people. All right? And you decapitate the government. What happens then? Who knows the hell knows? But let's guess. You got the Shi'a and the Sunni. And they spill over into surrounding countries. You've got the Talibani Kurds and the Barzani Kurds. And they spill over surrounding countries. And we got all the people. You didn't even talk about the Azzizis (ph), the Sabians (ph), the Chaldeans (ph), the Assyrians, the Turkmen. And these people are all going to rush out into the streets to settle their bitterly divisive, savagely contested differences using ballots that they've been saving up? Right!!! (ZNDA: Rome) In a positive and ecumenical response to an official invitation from the Vatican, His Holiness Mar Dinkha IV, Catholicos-Patriarch of the Assyrian Church of the East, attended the Assisi Day of Prayer for World Peace organized by the Secretariat of State of Vatican City, held on January 24, 2002 in the serene and peaceful city of St. Francis. The patriarch arrived at Rome's Leonardo da Vinci International Airport (Fiumicino), on Monday, January 22 at 2:10 p.m. There to receive the patriarch was Cardinal Walter Kasper, President of the Pontifical Council for Promoting Christian Unity with his Under-secretary Mons. Johann Bonny. Also in attendance was His Grace Mar Bawai Soro, Bishop of the Diocese of Western California for the Assyrian Church of the East. The patriarch was escorted to his temporary residence at the Domus Sanctae Mariae, in the Vatican. In the evening, the patriarch met with the 5 student- priests of the Assyrian Church, presently in Rome for their post-graduate studies. On the following morning, Tuesday January 23, the patriarch met with the Cardinal-President of the Pontifical Council for Justice and Peace, and the Secretariat of the Pontifical Council for the Pastoring of Migrants and Itinerants. At both these Vatican decastries, the patriarch pleaded on behalf of the Assyrians presently suffering hardships as refugees and itinerants in the Middle East and parts of Europe. In the afternoon, the patriarch met with the President of the Pontifical Council for Promoting Christian Unity, Cardinal Walter Kasper, who is officially responsible for dialoging with the Assyrian Church of the East. On Wednesday, January 23, 2002 the patriarch also met with the Secretariat of the Pontifical Council Cor Unum. Accompanying the patriarch in these various meetings was His Grace Mar Bawai Soro.
." The successful completion of the defense, with high honors, was celebrated in the evening by a gallant dinner graced by the presence of the two patriarchs, bishops, professors and family and friends of Bishop Soro. The highlight of the patriarch's visit was attending the Assisi prayer, marked by an inter-religious gathering. The delegates from the various Christian Churches and denominations, as well as from the world's religions mounted the papal train at 8:00 a.m., last used in 1962, along with Pope John Paul II. The delegates arrived at the Piazza Inferiore of the Basilica of St. Francis at 11:00 a.m. A number of delegates gave discourses, the crown of which were the words of John Paul II, "There is no peace justice, and no justice without forgiveness." The pope and delegates then had lunch together, hosted by the Franciscan friars. After lunch, the pope and the Christian delegates gathered for prayer in the Basilica of St. Francis. There, Patriarch Mar Dinkha prayed during his turn, "We now ask you to shower forth tranquillity, peace and reconciliation in a world that is troubled and grieved. Enlighten the hearts of the leaders of nations, that they may collaborate in drawing peoples closer together for the good of all of humanity, and in preserving the noble image of man which your hands have fashioned." The inter-religious prayer was concluded in the late afternoon with prayers, an exchange of peace, a lamp-lighting ceremony and final remarks from the pontiff. 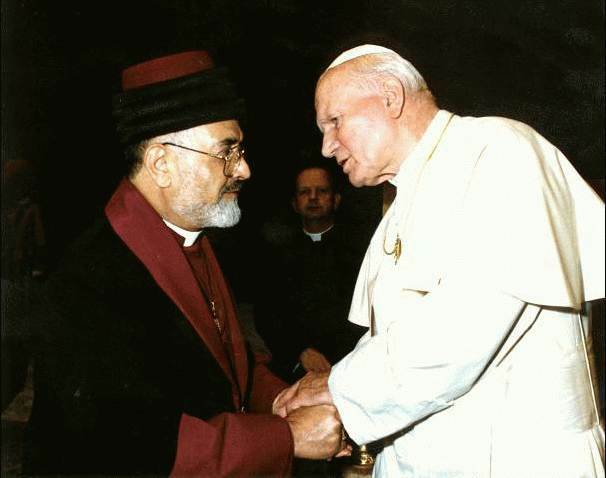 To close the Assisi Prayer events, Patriarch Mar Dinkha was granted a private audience with the pope, accompanied by His Grace Mar Bawai Soro. Along with the other delegates, the patriarch had lunch with the pope at the Apostolic Palace that afternoon. The patriarch left Rome for London on Saturday, January 26, 2002 at 1:40 in the afternoon, escorted by the Secretariat of the Pontifical Council for Promoting Christian Unity. (ZNDA: Rome) Amid a crowd of ecclesiastics and scholars, in a room adorned with prelates gowned in cardinal red and episcopal purple, His Excellency Mar Bawai Soro, Bishop of the Diocese of Western California of the Assyrian Church of the East, defended his doctoral thesis with the title, The Church of the East: Historic Grounds for Apostolic Origins and Theological Premises for Orthodoxy of Faith, on Wednesday, January 23, 2002 at 4:00 p.m. at the Pontifical University of St. Thomas Aquinas, Rome. The defense was significant in that it was the first time in the history of the university (the Angelicum) that a bishop was defending. The defense was attended by His Holiness Mar Dinkha IV, Catholicos-Patriarch of the Assyrian Church of the East - who was in Rome for the Assisi Prayer for World Peace - and His Beatitude Mar Raphael I Bidawid, Patriarch of the Chaldean Catholic Church. Also present were Cardinal Edward I. Cassidy, former President of the Pontifical Council for Promoting Christian Unity, Bishop Pierre Duprey, former Secretary of the same - both former dialogue partners of Bishop Soro. To add to the ecumenical ambiance of the defense, His Excellency Mor Gregorius Yuhannan Ibrahim, Syrian Orthodox bishop of Aleppo and His Excellency Mons. Claudio Gugerotti, newly appointed Papal Nuncio to Armenia, Georgia and Azerbaijan were also present. Family members, friends and well-wishers from California, Lebanon and Australia were there in a gesture of support as well. The defense began with a prayer from Bishop Soro, taken from the eucharistic prayer of Mar Theodore of Mopsuestia. The bishop then gave his half hour presentation before the examining board and the attendees. The crux of the thesis was to present and prove, using the historico-critical method, that the Assyrian Church of the East is apostolic in its inception and orthodox in its faith. 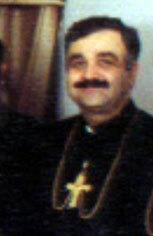 Bishop Soro refuted the age-old theory that the Assyrian Church derives its apostolic origins from the see of Antioch, and that her faith is heterodox; "This thesis attempts to find suitable historical and theological grounds to answer those controversial accusations and critical questions raised over the centuries concerning the Church of the East and her Fathers," the bishop said in his presentation. The thesis dealt with the apostolic origins of the Church of the East tracing the 'missing link' between the Holy City of Jerusalem and Northern Mesopotamia - namely the City of Arbil in the former Assyrian Region of Adiabene. The thesis also defended the orthodoxy of faith of Theodore of Mopsuestia and Nestorius of Constantinople who are revered by the Assyrian Church as teachers of the true faith. The bishop noted that "the time has come for us to take our place among the venerable churches of our age" during his presentation. Bishop Soro also called for a rehabilitation of the Fathers of the Church of the East, advancing the understanding of Theodore and Nestorius within the context of their own thought, and the affirmation of the apostolicity and orthodoxy of the Assyrian Church.
" Professor Taft continued, again noting the dissertation "
is also of seminal importance for the Ecumenical Dialogue with the Catholic and other Orthodox Churches." The third reader, and vice-rector of the university Rev. Professor Charles Morerod, O.P., examined the bishop on the philosophical import of his thesis. After the strenuous examination the examining board deliberated on their decision for about half an hour before announcing the successful outcome of the defense and the conference of the degree of Doctor of Sacred Theology on Bishop Soro. The decision was greeted by loud cheers, applause, and a standing ovation. The bishop gave his thanksgiving discourse immediately after the announcement, and Patriarch Mar Dinkha closed the event with words of praise and joy. The defense was celebrated in the evening with an elegant dinner at the Centro Pro Unione, a center that fosters ecumenical studies and rapport. The festive meal was attended by the two patriarchs, a number of cardinals, bishops and professors, student-priests, family and friends alike. The joyous and ecumenical atmosphere was studded with words of felicitation and congratulations by close friends. To close the evening, Bishop Soro thanked all those in attendance, especially the two patriarchs - Assyrian and Chaldean - who displayed a bright portrait of long-desired brotherly love and closeness. The whole evening not only gave witness to the inestimable importance of the dissertation for the past identity and future aspirations of the Assyrian Church of the East, but it realized that importance, especially with regard to restoring that full-communion which existed among the Apostles themselves and their followers! (ZNDA: Sydney) After years of planning and months of construction, children will filled St. Hurmizd's Assyrian Primary School for the first time. The first education facility outside the ancient culture's Middle Eastern homeland is located behind the apostolic Catholic cathedral in Greenfield Park. "At the moment it is a nice building, but on Wednesday we will be a school," principal Wayne Pettiford said. all our pupils are new." The 87 kindergarten, year one and two students will study the first curriculum to combine Assyrian culture, history, language and Christian religion with mainstream education. "This is a turning point in the Assyrian community as a whole, it is an exciting new world opening up to young Assyrians," mother of five-year-old Isaiah, Anna Lazar, said. Significant Assyrian migration from Iraq to Australia began in the 1970's and continued steadily to form a strong community of over 20,000 in Fairfield. 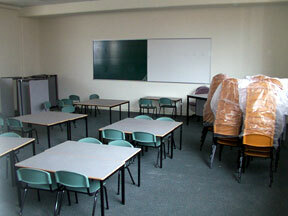 It is anticipated the school will have its first year six class, and a total of 364 students by 2007. (ZNDA: Sydney) Another company in Karl Suleman's Froggy group, Froggy Music Pty Ltd, will be closed following an order in the NSW Supreme Court today. The Australian Securities and Investments Commission (ASIC) obtained consent orders winding up Froggy Music and PAL Holdings Pty Ltd. Paul Weston and Neil Cussen of Horwarth Accountants were appointed as joint liquidators of the companies, ASIC said in a statement. ASIC started action against companies associated with Mr Suleman, in particular Karl Suleman Enterprises (KSE), in November last year over an unregistered managed investment scheme. Creditors claim they have lost $60 million in the failed investment scheme. In December, NSW Supreme Court Justice Joseph Campbell added five companies in Mr Suleman's Froggy group to the proceedings after ASIC claimed they received funds from KSE. In January ASIC obtained consent orders winding up three Froggy Mobile companies and Froggy Holdings. Froggy entities are believed to owe creditors $16 million. ASIC said its investigations were continuing and no further comment would be made at this time. The matter is back in court on February 18. Meanwhile Australian newspapers reported last week that Karl Suleman was one of the biggest donors to Australia's Labor Party last year. The Sydney Morning Herald said Mr Suleman and his wife, Vivian, gave about $172,000 to the NSW branch of the ALP in the financial year ending June 2001. The figures on political donations were released by the Australian Electoral Commission. Australia's biggest companies, including AMP and Coca-Cola, made generous donations to both the Liberal and Labor parties last year. The Herald report says the liquidator of Mr Suleman's companies, Neil Cussen, will investigate whether he can retrieve any of the money on behalf of the investors. "When I met Mr Suleman he indicated he was a supporter of the Labor side of politics,'' was the best explanation NSW Labor Party secretary, Eric Roozendaal could offer after it was revealed that the disgraced Karl Suleman had donated to the Labor Party, largely through its NSW branch. The Labor Party is embarrassed because some of the investors' money was handed over to Labor Party and used for their federal election campaign. In other news last week it was reported that Karl Suleman paid $4.5 million to purchase a waterfront apartment in Gab Lorentz's Wolseley Road triplex development before his empire imploded. Suleman apparently wrote a $450,000 deposit check to secure the purchase. Now Suleman's receivers Neil Cussen and Paul Weston have lodged a caveat over the apartment's title pursuant to orders secured in the Supreme Court, hoping they may get the $450,000 back. "I read the article written by Professor John Joseph. I am glad that finally John Joseph has decided to refer to us as "Assyrians" as a real ethnic group and provide us some articles as an Assyrian historian that we can all read and enjoy. It is a courageous step to abandon the expressions like "the so called Assyrians" and "bogus ethnicity" and the arguments on percentage of Assyrian blood of modern Assyrian behind and focus on topics that matter to all of us and to our people. I hope we can all one day call John Joseph "Rabi" and "Malpana" a title that we reserve for our nationalist thinkers and patriots." "Recently, the municipal center of the city of Södertälje in Sweden, where approximately 20,000 Assyrians reside, has allocated, with an initiative from the Assyrian city council member, Mr. Emil Bar Ebroyo, a special section for Assyrians in the city's Public Library. In a meeting that included the director of Sargon's Publishing House, Mr. Chamoun Danho, with the director of the library, Mrs. Eva Dankis, an agreement was reached to strengthen the cooperation between Sargon's Publishing House and the Library of Södertälje through the offering of assistance to concerned individuals to collect the greatest number of books and publications regarding the history of the Assyrians in its many different aspects. It is known, that the aforementioned library currently contains, hundreds of Assyrian publications, and could become, with time, a great resource for everyone interested in researching the history of the Assyrian in its different aspects, whether educational or tragic. "I was searching the ebay.com and find this photo dated 1869 in a book called "IRAN PERSIA TREASURY OF EARLY IRANIAN PHOTOS". 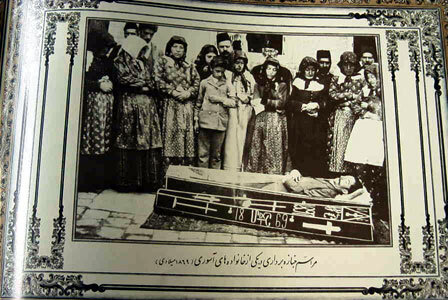 It is an Assyrian funeral. Interesting picture with Farsi description. " Help us eliminate VOTER APATHY by registering to VOTE as concerned Assyrian citizens. Assyrian voices must heard and our votes counted in Primary and National Elections. Please take (2) minutes out of your time to register and become an official voter. A workshop on how to register to vote, which form to fill out, and how to use the election machines for anyone who is not familiar with registration and voting process will be held on Sunday, February 10th. See time schedules and location sites below. Please inform your family, friends, and colleagues. The deadline to register to voter is February 19, 2002. Voter registration forms and election machines will be set up at the locations listed below. Volunteers will be on hand to assist and answer questions anyone may have. All of the locations will be represented by at least 2-3 volunteers on Feb. 10th. An elections demonstration will conducted at the following churches in Chicago. Volunteers will set up three elections machines, one at each of the churches named below. Volunteers will also pass out voter registration forms to anyone who is not a registered voter. Election machines (for the purpose of demonstration), in addition to registration forms, will be set up in the Assyrian National Council Office, 2450 W. Peterson, Chicago. Assyrian Social Club, 6313 N. Pulaski Rd. Joseph Tamraz (773) 383-9600 or Nadia E. Joseph (773) 461-6633. (ZNDA: Washington D.C.) Members of Congress will join the Armenian American community in the 8th Annual ANCA Capitol Hill Observance of the Armenian Genocide. The Observance, co-hosted by Senator Jack Reed (D-RI) and US Representative Jim McGovern (D-MA), and sponsored by the Armenian National Committee of America Eastern Region, Western Region, and Washington DC, will take place on Wednesday, April 17, in the Gold Room of the Rayburn House Office Building (Rm. 2168). The program will begin at 6:00 pm. Last year's Observance was enhanced when Senator Robert Dole was presented with the ANCA Freedom Award for Lifetime Achievement. Senator Dole, a steadfast supporter of initiatives to properly recognize and commemorate the Armenian Genocide, consistently introduced legislation to ensure that the United States properly recognize and commemorate the Armenian Genocide. Also attending last year's annual observance were Senators Joe Lieberman (D-CT), Paul Sarbanes (D-MD), Arlen Specter (R-PA), and George Allen (R-VA), and, from the House, Congressional Armenian Caucus Chairman Frank Pallone (D-NJ), International Relations Middle East Subcommittee Chairman Ben Gilman (R-NY), Intelligence Committee Ranking Member Nancy Pelosi (D-CA) and Representatives Xavier Becerra (D-CA), Eric Cantor (R-VA), Joseph Crowley (D-NY), Barney Frank (D-MA), Mike Honda (D-CA), Steny Hoyer (D-MD), Patrick Kennedy (D-RI), Jim Langevin (D-RI), Sander Levin (D-MI), Michael McNulty (D-NY), Connie Morella (R-MD), Steven Rothman (D-NJ), Adam Schiff (D-CA), Brad Sherman (D-CA), and Mark Souder (R-IN). The Republic of Armenia's Ambassador to the United States, Armen Kirakossian and Nagorno Karabagh Representative Vardan Barseghian were also present, as were a number of dignitaries from several foreign embassies. Joining Armenian Americans and Members of Congress this year will be survivors of the Armenian Genocide, members of the diplomatic community, and leaders of human rights organizations. (ZNDA: New Jersey) On January 31 Beth Mardutho( http://www.bethmardutho.org ): The Syriac Institute published a new issue of its academic periodical Hugoye: Journal of Syriac Studies (Vol. 5, No. 1). The issue is available electronically on the Institute's home page. This issue features three papers, one brief article, two book reviews, three conference reports, three conference announcements, and two advertisements. The first paper by Edward Matthews is a bibliographical clavis to the corpus works attributed to Isaac of Antioch. The second paper by Christine Shepardson examines Ephrem's anti-Jewish rhetoric in his Hymns on Faith. The third paper by Paul S. Russell is also on Ephrem's works and examines passages in which Ephrem makes use of the image of Jesus Christ as an infant child. The brief article by Sebastian P. Brock gives important annotations to the three volumes entitled The Hidden Pearl. The Syrian Orthodox Church and its Ancient Aramaic Heritage, published by TransWorld Film Italia in 2001. In the Book Reviews section, Sebastian P. Brock continues his series on recent books on Syriac topics, informing our readers about the latest publications in the field. The section also includes two book reviews: one of John Joseph's The Modern Assyrians of the Middle East: Encounters with Western Christian missions, archaeologists, and colonial powers (Studies in Christian Mission, 26; Leiden: Brill, 2000) by J. F. Coakley; the other of Hilarion Alfeyev's The Spiritual World of Isaac the Syrian (Cistercian Studies Series 175; Kalamazoo, MI: Cistercian Publications, 2000) by Dana Miller. Three conference reports are given: the first on "The Origins of Syriac Christianity": First Symposium of the Canadian Society for Syriac Studies (November 24, 2001) by Dobra Foran; the second on the Fourth Woodbrooke-Mingana Symposium On Arab Christianity And Islam (12-16 September, 2001) by David Thomas; the third is on The Third Peshitta Symposium (12-15 August, 2001), including all the abstracts, by Terry Falla. In the advertisements section, Gorgias Press offers 15% to 30% discounts on reprints including Assemani's Bibliotheca Orientalis, Wright's Catalogues of Syriac manuscripts, and other books, as well as new titles such as Kiraz's New Concordance of the Syriac New Testament. The American Theological Library Association advertises ATLA Serials' Digital Journal Project of which Hugoye is a participant. Publishers interested in advertising in future issues of Hugoye may contact the General Editor at gkiraz@bethmardutho.org. Hugoye is XHTML 1.0 compliant, using cascading style sheets. Readers using older browsers such as Netscape 4.0 or IE 4.0 may not see the formatting as intended. The Journal is available electronically from www.bethmardutho.org. Last month in a six-part series, Morning Edition -- a daily program of the National Public Radio-- examined changes in immigration policy since the Sept. 11 terrorist attacks. Beginning Wednesday, Jan. 30 and ending Sunday, Feb. 3, NPR looked at the many facets of the immigration debate. Topics included security along the nation's borders; who enforces immigration laws; and how detainees and others suspected of violating immigration laws are treated. In one part the series explored how aliens are treated by the INC and how Americans feel about foreigners. With the new perception of vulnerability since Sept. 11, the U.S. government has increased security along the northern and southern borders, determined to make the borders less porous. It has led some to fear the country is turning into Fortress America. days, two entire pods of this prison are filled with non-criminals, 121 foreign women who say they've done nothing more than flee repression in their home countries. Before September 11th, many of these women might have been freed on bond while awaiting a hearing. Take for example, the case of a 24-year-old computer studies student from Iraq, who wants to be known only as "Rita." Last year, Rita, who's Christian, refused to pledge her support to Saddam Hussein's ruling party. Afraid of government retaliation, she chose to flee, setting her sights on the U.S. Her mother had gotten U.S.
residency and was living near Detroit. Rita left Iraq 8 months ago with only a visa to Ecuador. Asked why she didn't try to get a U.S. visa, she and a volunteer translator, who's also Iraqi, could only laugh. Translator: [short laugh, the two women converse in Arabic] There is no embassy. To start with, there is no American embassy in Iraq. And if there was, I mean, I'll be executed before I enter the embassy. Davis: 4 months later, she arrived at Miami International Airport and asked for asylum. She didn't have the proper documents, and after a brief interview, an INS officer strode into the room and told her she was under arrest. Within hours, she found herself inside pod K46 of this maximum security prison where she's been ever since. At the jail, Rita was stripped of her personal belongings and jewelry. Her only clothing is a standard orange prison jumpsuit. No one, except another Iraqi detainee, speaks her language. No one will tell her when, or if, she'll be released. She tries a few words in English, before returning to Arabic. Rita: I'm very sad, very, very, very, very sad. And, um, I don't know what in English because I'm not speak with English. [Rita cries and speaks in Arabic to the translator]. Translator: I feel absolute desperation, and sometimes I feel I'm going to die here. And, eh, there's just, it seems there is no hope whatsoever. Davis: There is some hope for Rita. INS officials recently ruled her fear of being persecuted in Iraq as credible, a key step toward being granted refugee status. Local INS spokesman, Rodney Germaine, who was at the prison that day, said the agency is just doing its job when it detains asylum seekers like Rita. Germaine: Anyone who enters the United States in an illegal manner - of course it's a, it's a violation of the law. And, uh, we're charged to uphold the law, and um, that's why we have to place so many of these people in detention. Davis: It all goes back to 1996, when Congress ordered detention for non-citizens who commit crimes and, in many cases, for foreign visitors who didn't have permission to live in the U.S. The law said even minor crimes committed long ago could lead to prison or deportation. It also targeted illegal workers. Though the law was aimed at criminals, 40% of those detained have not been convicted of a crime. They include people, such as asylum seekers, who are caught in a beaurocratic limbo, waiting for their cases to be heard. Sometimes the difference between freed on bond and spending months in jail is based on a decision by a local INS director. Tony Tangemann is head of the INS' section on detention and removal. Tangemann: District directors, based on their local knowledge, uh, determine whether or not people should be detained. There's a mandatory category of people who should be detained, must be detained, and they have to do that. And then there's uh, uh, different categories that, uh, based on the available bed space, then they will detain those individuals. Hall: We have to try to maintain an uh, uh, an equal treatment, sort of, uh, situation here in the jail because when one population hears that another population is getting special treatment, then you have problems. Davis: Wendy Young, a director at a non-profit group called the Women's Commission for Refugee Women and Children, says the INS detention system is out of control. uniforms. They're very often hand-cuffed and shackled when transported. They have very limited access to the outdoors. Davis: Human rights organizations say they've documented numerous cases of abuse and substandard prison conditions. In Miami, guards at the INS' Krome processing center have been accused of sexually abusing female detainees. In Cranston, Rhode Island, detainees have complained that guards have beaten them and placed some of them in solitary confinement. In York, Pennsylvania, advocates say a 15-year-old girl from Sierra Leone, who still has scars from being tortured by rebels there, has been placed in a county jail and denied treatment for Post Traumatic Stress Syndrome. Others have been held for 3, 4, and 5 years without their cases being resolved. Cheryl Little, the director of the non-profit Florida Immigrant Advocacy Center, which is trying to help Rita, says in some respects, the detainees have fewer rights than common criminals who are serving time. Little: At least when they were serving time, you know, they knew when they were going to get out. And they knew what the rules were. And that here, the rules change every day. Davis: Last year, a special team from the American Bar Association won, from the INS, a commitment to improve the way detainees are treated. The new standards include allowing detainees to use the telephone, to read legal books, and contact their lawyers. Arthur Helton is a lawyer and a member of the committee that helped design the standards. Helton: They seem like very straightforward and almost, uh, uh, obvious, uh, elements to make sure that people are connected to justice in America. But those have to be, uh, managed through these standards. Davis: The INS says the standards are already in place in some of its larger detention facilities. Now, they're supposed to go into effect at state and local jails. But forcing better treatment for detainees at 100's of lock-ups around the country will be a big test of the INS' commitment to change. 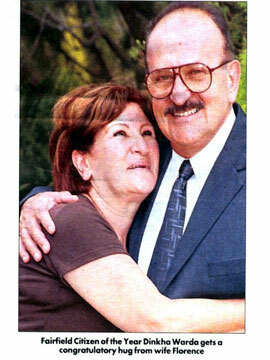 (ZNDA: Fairfield) Dinkha Warda has watched and helped, the Assyrian-Australian community grow from a few families to around 20,000 people. The award recognised 36 years of community work, his aim being to promote and preserve Assyrian traditions while helping migrants to settle in Australia. It is a great delight for me and for my wife Florence to have my contribution to the Assyrian and Fairfield community recognised on this Australia Day," Mr Warda said. His promotion of Fairfield to fellow migrants helped the area develop into the Assyrian cultural centre it is today. "When I arrived here there were only a few Assyrians in Australia spread around Peddington, Randwick and other suburbs," Mr Warda said. "We had a map that said Fairfield would be the best place in 30 years. We warned more people to come to one area to establish cultural activities." Cultural icons such as the Nineveh Club, three Assyrian Churches, language programs on 385 radio, a social welfare office, scholarship schemes and sporting facilities all have Mr. Warda's fingerprints on them. "The Nineveh Club and its soccer facilities were a major achievement and was a major factor in attracting Assyrian migrants to settle in the Fairfield area," he said. Nineveh club and soccer field in1971. "When (the AAA) started in 1969 we had no funds so when we decided to have the first party we didn't have any money. Ten of us put in one week's wages to raise $600. . . now we have assets of $6 million." 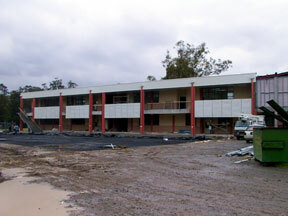 Construction of Fairfield hospital, Wetherill Park TAFE and a local child care centre were achieved during Mr. Warda's membership of the Fairfield Community Council for Social Development in the 1970s. "1 have met and worked with many wonderful people," he said. In Mesopotamia, anyone who ruined the appearance of the Royal Road of Nineveh was hanged from the roof of his own house. The Royal Road of Nineveh may be the earliest known protected historic district. In honor of the conference a Finnish brewery recreated a Sumerian beer based on ancient Near Eastern recipes. Enkidu-beer was served during the conference.